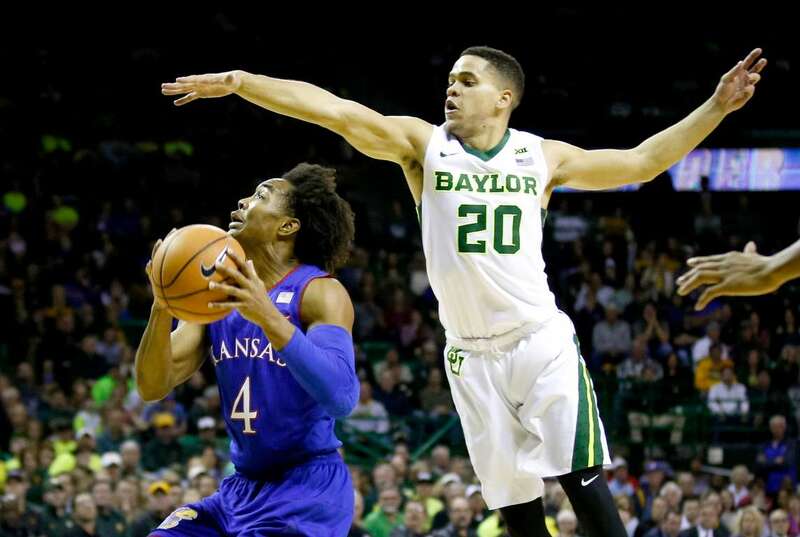 Manu Lecomte (20) of Baylor tries to block a shot attempt by Kansas' Devonte' Graham on Saturday in Waco, Texas. The Bears won 80-64. Photos - U.S. Daily News: Look out behind you!